At this point in the life of Jacob, he has 11 sons (Benjamin comes later), only one of whom came from his favorite wife, Rachel. Because of this, Joseph is Jacob’s favorite son. This causes a great deal of jealousy between Joseph and his brothers. To make matters worse, Jacob wanted to give Joseph a token of his love by making a special coat of many colors for him. It is around this time that God gives Joseph two dreams. 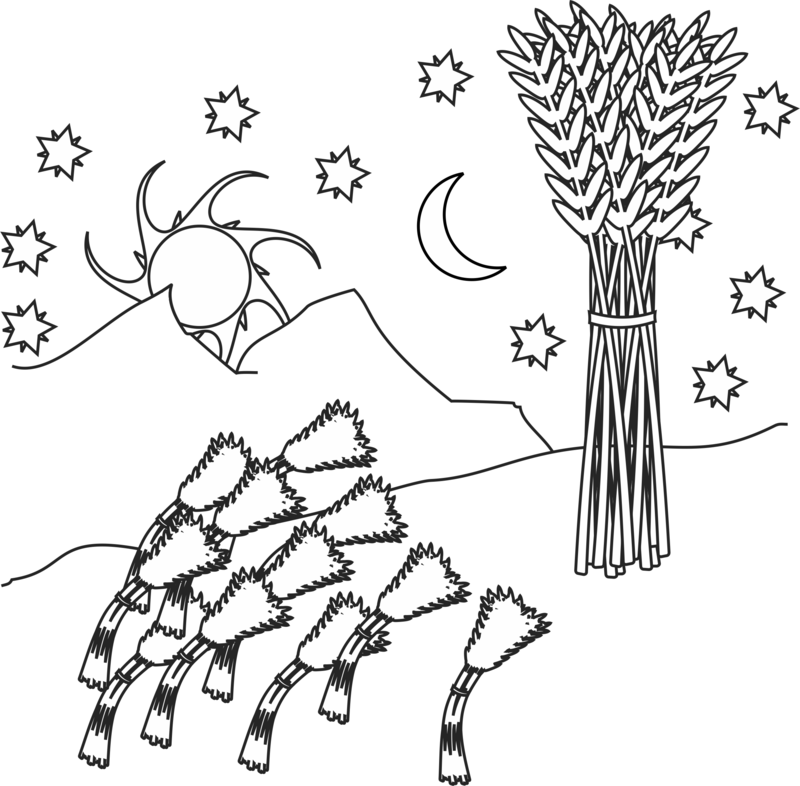 In his dreams, Joseph sees 11 sheaves of grain and the sun, moon, and stars bowing down to him. Joseph shared his dreams with his brothers, who became indignant. Not long after these dream, Joseph’s brothers went out to tend the sheep. Jacob sent Joseph to check on them and bring him back a report of their actions. When Joseph was nearing his brothers, they purposed to kill him. When he arrived, Joseph was grabbed by his brother and thrown into a dry well. Later that day, rather than kill him, Joseph’s brothers pulled him out of the well and sold him as a slave to some traders headed to Egypt. They took Joseph’s coat, tore it and covered it in blood. When they returned home, the brothers showed the coat to Jacob, who assumed that Joseph had been killed by a wild animal. Despite all this, God was Joseph and continued to be with him in Egypt. 1. Before class, cut your colored paper into small squares, making only 3 or 4 out of one color and all the rest out of the other color. Make sure there are enough pieces for each child to have one. 2. Set a table with 3 o 4 plates with snacks. 3. As your children enter the class, have them select one of the colored squares. After everyone has a piece of paper, tell the ones with the minority color that today they are extra special and they can go to the table and enjoy a snack. Instruct all the other kids to stay where they are until the others are done eating. When the snacks are finished, have everyone join you for a discussion. 4. Ask the kids who got the snack what it felt like to be chosen for something special. Ask the kids who did not get a snack what it felt like to be left out. Bring out the idea of being jealous. Ask if it was fair for you to give only a few people a snack. Ask the children when they have felt jealous in real life. 5. Tell everyone that today they will hear a story about some brothers who were jealous, but first it is snack time for everyone! Joseph is considered one of the best types of Christ in the Old Testament. It is very easy for us to see many parallels between Joseph and Jesus in this story. Joseph was loved by his father (vs. 3) and God says that Jesus is “My beloved Son” (Matthew 3:17). Joseph was sent by his father to his brothers (vs. 13-14) and Jesus was sent to His brother, (first) to the children of Israel (Hebrews 2:11). Joseph was hated by his brothers (vs. 4) and Jesus was also hated by His brothers (John 7:5). There was a plot against Joseph (vs. 20) as well as Jesus (John 11:53).These are just a few of the connections that can be made between Joseph and Jesus and there will be many more as the story of Joseph unfolds in later chapters of Genesis. *This is a great son to do over the course of the Joseph stories. Sing only the parts that cover that week’s story and build the song up week by week until you are singing the whole song! 2. Divide the children into two teams. Ask for one volunteer from each team. Put the paper coat on the volunteer and have those two children stand on one side of the room. 3. On the other side of the room have a table with all the color paper and several glue sticks. When you say go, have one child from each team put glue on a piece of paper, run to their team member with the paper coat on and stick the paper to the coat. At the end of a certain amount of time (5-10 mins) or when the paper runs out, judge the two coats to see who is most covered. The team with the most covered, colorful coat wins! 1. Give each child a plain white piece of paper. Have them glue colorful pieces of paper all over. Cut the excess off with scissors. 2. 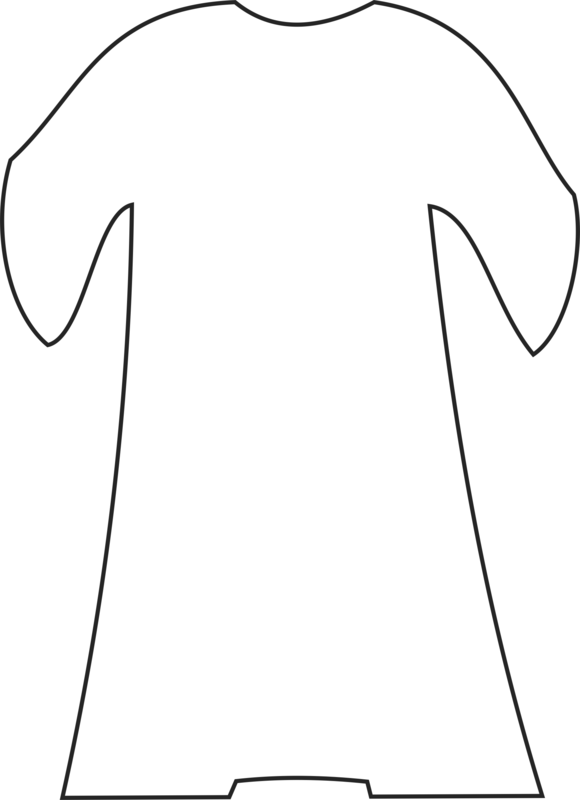 Cut the coat out of the coat template. You will be using the paper that has a hole in the shape of a coat, so try to cut in such a way as to keep all 4 sides intact. 3. Put glue all over the cut template. Apply the glued template to the colorful paper. You can now see a colorful coat through the hole in the template.